Travel games for kids are vital part of any vacation that includes children but most adults enjoy good game occasionally. Playing games with your friends and family is a great bonding exercise and good way to let your hair down for a while and get in touch with your inner child. Children are though the biggest and best game players... all children enjoy playing games. Games are not only fun, they are also important part of any child development as children learn through playing. Playing games is a social activity so children learn vital social skills and make friends through playing. 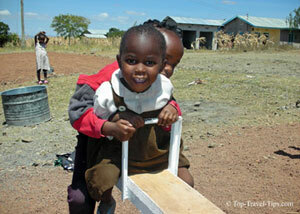 They also learn to develop various skills through playing, vocabulary, organization, logic, coordination and mobility. There are travel games for kids available for any age and ability. Some include some toys or equipments, while others only require active imagination. There is a game out there for everyone. Children are never too young for games and toys. Baby's brain develops fast and the right toys can stimulate that growth in a positive way. The youngest babies need toys that can help them develop color and shape recognition, hand and eye coordination and an understanding of cause and effect relationships. When babies have reached few months of age they need toys that can teach them balance and mobility, manipulative skills and help develop their imagination. Travelling with children is always fun but it is important to have your children needs in mind when planning your family vacation. You will find plenty of practical Family Travel Tips in our family travel section. Learning toys for the youngest babies should be colorful, mobile and have a variety of textures. Babies are not interested in cute stuffed animals as such - they are much more interested in different textures and toy's features. Toys and travel games for kids that project moving colors and play music will stimulate your baby's curiosity. Even though toys are important for your child development so are games without toys. You will of course not be playing any complex games with your newborn but babies need to interact with people. Do not be shy to play with your child, you can do so by singing, massaging, pulling funny faces, etc. Have fun and your baby will too. Toddlers need more mental stimulation when playing with toys, so it is important that toys and travel games for toddlers keep them stimulated. Toys the toddlers pushes assist developing standing and walking skills, shape sorters help improving hand and eye coordination, musical toys can help develop pitch and rhythm recognition, etc. Toddler can also interact more with other people than babies can, so playing games with your toddler is important. You can do so with toys but not solely. Continue to interact and bond with your young child, sing for it, tell it stories, pull funny faces together and start teaching them things. Toddlers are like swamps... they soak up new things. Always purchase toys that are designed specifically for your baby's age group. This is especially important for younger children as innocent things can be hazardous for them. As the children get older, the more sophisticated the games get... and adult play less role in them. Children can entertain them self for hours playing a game on their own. They though usually enjoy it even more when they are playing games with other children. Adults, and especially parents, should still play games with older children as they are great way to have fun together. Vacations are ideal time to play with your children so never leave home without a good selection of age appropriate travel games for kids of school age. You should take games to entertain your child while you are travelling, but also travel games to use at your vacation destination. Knowing travel games for kids that do not require any toys or equipment are also handy, especially on car journeys or when flying with children. Everyone travelling with children should know few car travel games for kids that do not require any toys. We have put together ten popular travel games for kids that do not require any toys. You can download and print your free copy of Top Travel Tips 10 Fantastic Travel Games . Teenagers can be a child and young adult... all on the same day. While teenagers will sometimes pretend they are too old for games, they are likely to enjoy playing games with their family occasionally, especially while on vacation. All kinds of board games tend to be popular travel games for teenagers. They might also enjoy playing and learning new card games. They are more likely to like physical activity so playing outdoor games with them could be a great bonding exercise. Teenagers tend though to be more interested in their friends and prefer playing with them. So when travelling with teenagers it is important to give them opportunity to meet other teenagers. Teenagers now-a-days are also very technologically oriented. It is highly unlikely that you can agree on tech free vacation but you might want to agree on some ground rules prior to travelling. Which electronic gadgets can your teenager bring and how much daily use is allowed. 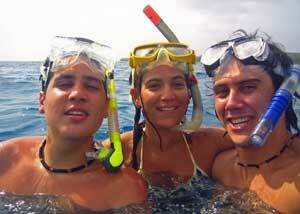 Most adult enjoy playing games occasionally, especially when on a carefree vacation. Playing board games or cards with group of good friends can be an enjoyable night in. There are also all kinds of outdoors games and activities aimed for adults. Many adults enjoy playing some sport, like tennis, football, golf, sailing, skiing, cycling, etc. Fun activities for adults can include roller skating, abseiling, tree climbing, car racing, bungee jumping, paintball, horse riding, clay pigeon shooting, etc. There are of course also many travel games for two adults... but we will leave them up to your imagination. There are also many games, which children and adults can enjoy playing together. 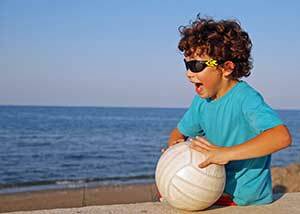 If you are heading for the beach, then check out top 10 beach fun - beach games and activities. Children and adults alike should enjoy playing most of them. If you enjoy strategic and puzzle games, then you might want to check out our Tantrix review and find out why we think Tantrix is the perfect travel game for the mind.